Here we go again in the snow capital of the upper south. The season’s first snowfall is only a few inches, and barely worthy of mention in comparison to last winter’s blizzards. I expect that there will be more as the winter progresses, but there is no reason to expect a repeat of the snowfall that broke and bent evergreens this past February. As is usual I have done nothing to protect the evergreens, though several arborvitaes and junipers that splayed apart in the heavy snow remain loosely tied with a soft nylon strap that was used to draw the branches back together. I understand that gardeners in areas where heavy snow is expected routinely tie their evergreens, but I have had few problems through the years. 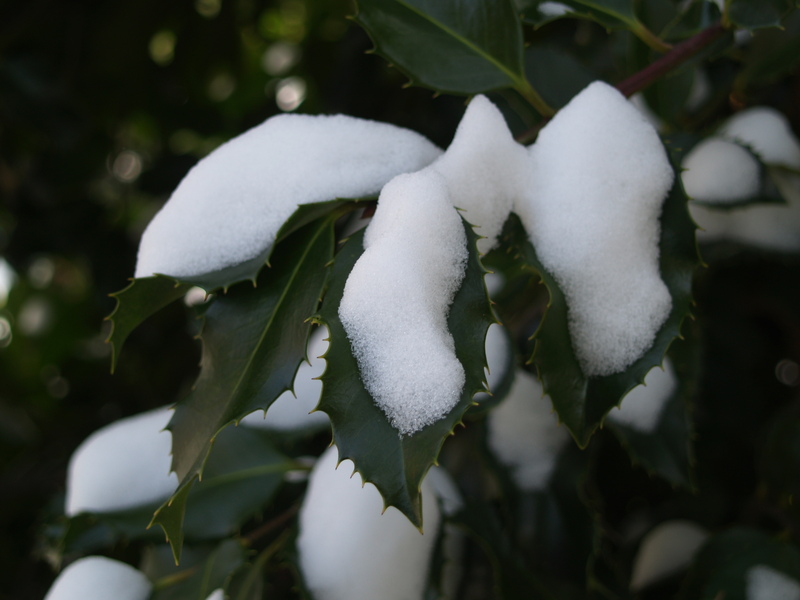 With winter temperatures that often hover around freezing our snows can be wet and heavy, and the weight of four or five inches of snow can damage plants, mostly evergreens with leaves that hold more snow than bare branches. 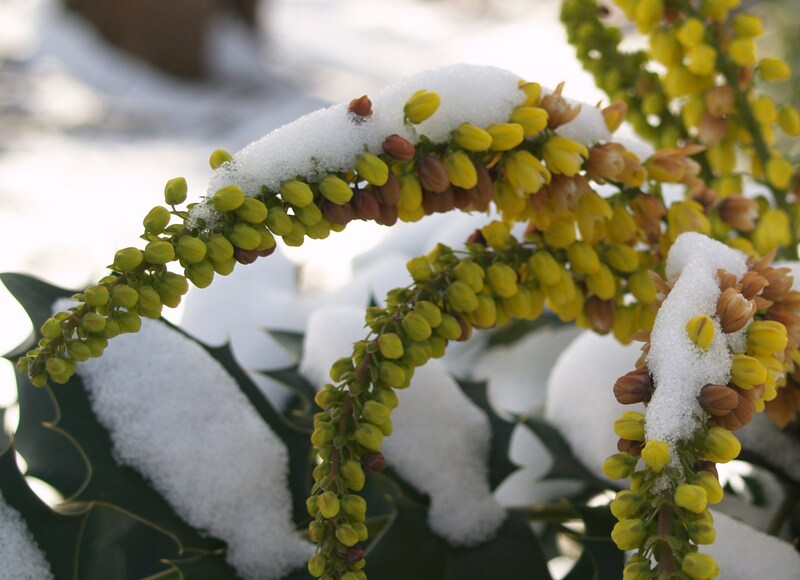 Densely branched deciduous plants, particularly weeping forms of Japanese maples can also be injured, and I often see that it is recommended to gently brush snow from evergreens with a broom. 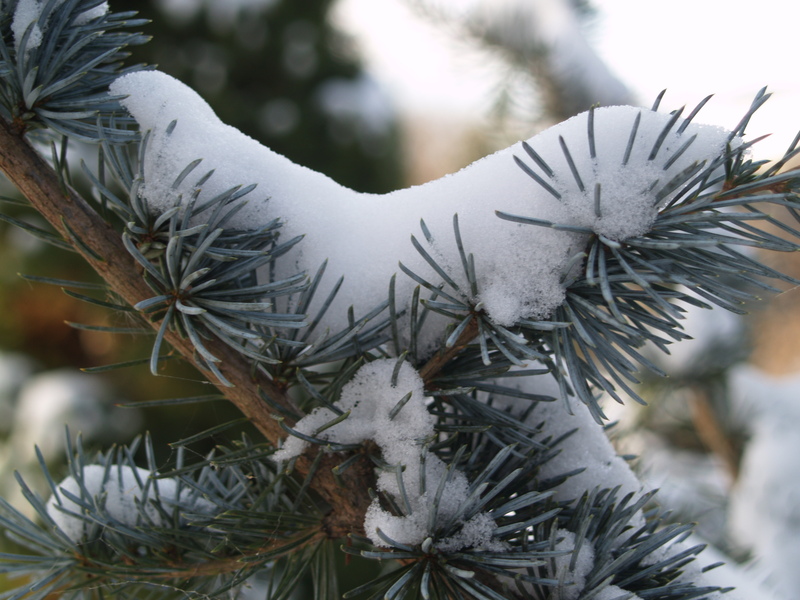 I am certain that more damage is done in swatting evergreens with a broom than if the snow was not bothered at all, but there is some benefit in removing heavy snow from evergreens that are prone to bending or breaking. I have found that gently shaking a part of the plant is usually effective, and if the evergreen is tall a broom might be a suitable tool in nudging branches sufficiently. Any force greater than a nudge, or a gentle shake, could cause damage to branches brittle from the cold. 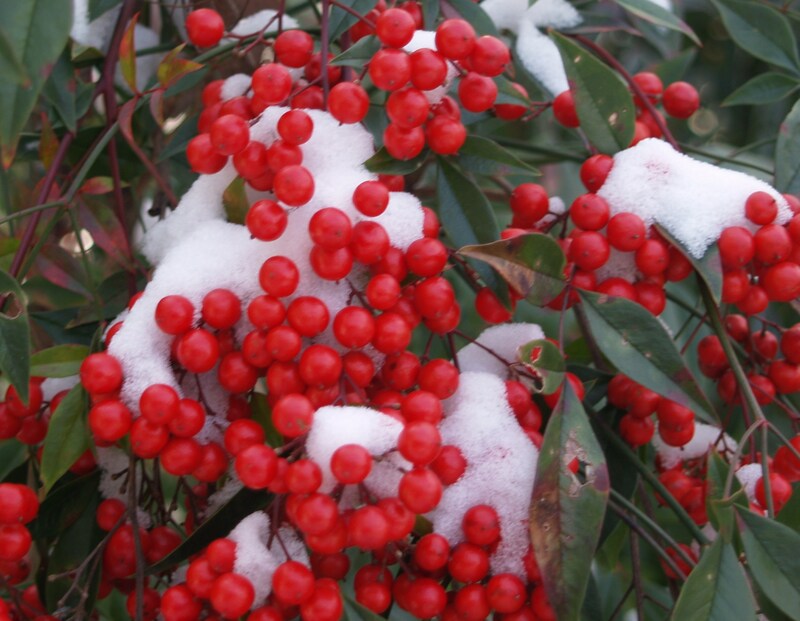 In the case of heavier snows of a foot or more, when boxwoods and azaleas are squashed under the weight, I have found that the damage done is usually slight, and not worth the effort involved in removing the snow. Most damage that I have seen is when huge drifts of snow fall from the roof, and last year there were a few tragic stories of homeowners who climbed to their roofs to avoid this problem. The gutters on my roof are quite high, and when snow crashes to the ground any plant in the way is likely to be crushed, and though I don’t recall, that is probably why there are few plants that close to my house. In any case, beyond Leyland cypresses and a few assorted evergreens, the damage from the heavy snows last year was much more slight than I initially feared, and I am happy to suggest that you should enjoy the snow and not be so worried about the garden that you injure yourself or your plants in trying to protect them.